University of Colombo conducts several undergraduate and postgraduate degree and diploma courses. 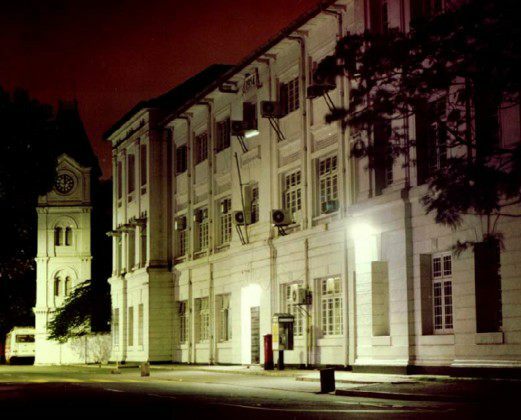 University of Colombo, Sri Lanka, is the oldest higher educational institution in Sri Lanka. University of Colombo is a sprawling complex located in the heart of the capital city of Colombo, Sri Lanka. The University of Colombo strives to maintain academic excellence in all areas of study. The University of Colombo has 7 Faculties with 42 Academic Departments, a Campus, a School, 6 Institutes and several Centres and Units. Many undergraduate and postgraduate study courses in the fields of Arts, Science, Medicine, Management, Finance, Law, Education, IT, Aesthetic Studies, Molecular Biology, etc. are conducted by the University. The University also offers several other services, such as library services, career guidance, and services for differently-abled students. Student life is enhanced by a plethora of extra-curricular activities offered on campus. The beautiful playground and the modern gymnasium offer sportsmen and women the opportunity to exploit and develop their abilities to the fullest. The New Arts Theatre is often the arena for spotlighting the dramatic and musical talents of our student population. The location of the University affords the student population all the advantages of a “Metropolitan University”, with easy access to international information/resource centres, libraries, theatres, sports complexes etc. The University of Colombo has a multi-cultural multi-ethnic student and staff population, fostering social harmony, cultural diversity, equal opportunity and unity. 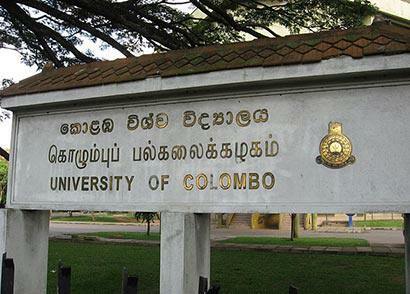 Check here for external degree courses of University of Colombo. The University conducts a diverse range of undergraduate and postgraduate degree and diploma courses. Six of the seven Faculties and the Sri Palee Campus are conducting undergraduate programmes leading to bachelors degrees. Intake to these basic degree courses are through the University Grants Commission, based on performance at the GCE Advanced Level examinations. Details of these are available in the webpages of the individuals Faculties or Institutes. Intake to postgraduate courses is according to criteria laid down by the different faculties; given below is a list of courses on offer. Further details are available in the websites of the relevant faculties and institutes. Information can also be obtained regarding these courses by emailing the Faculties or Instutes. Please, may I know details about Accounting and Business studies in this university. There are Accounting degree programs. But no BS, instead you can do Human Resource Management. Marketing, Business Administration and other Mangement degrees. I fallowed the Medical laboratory technician in chemistry. I like to fallow a degree in microbiology or molecular side. Please give me information about that. thank you. Why don’t the the links work? And which is better : Computer Science or Software Engineering? Both are OK to become software developer. But engineering degrees are normally awarded by Engineering faculties. i would like to know whether you have a degree course on Psychology and Counselling in Your institution. I want to know, about a degree in arts subjects from university of Colombo for an external student. I think U of Colombo does not have BA external degree. Can i know about registration on to Business management degree.